Hi, friends! I have some very exciting news! I’m in Vogue Girl Korea! Aw, so fun! I’m delighted to be featured along with my friends Julia Frakes, Jane Keltner De Valle of Teen Vogue, and Tommy Ton, as well as Leith Clark of the wonderful Lula Magazine, Anne-Catherine Frey, and Prabal Gurung. What an honor!The issue was featuring vacations for summer. I sent a picture of me drawing in my friend Alice‘s parents’ house on the north shore of the island of Oahu. I was with a group of my very close friends and after a long day in the ocean and the sun I came inside to rest and draw in my sketchbook. 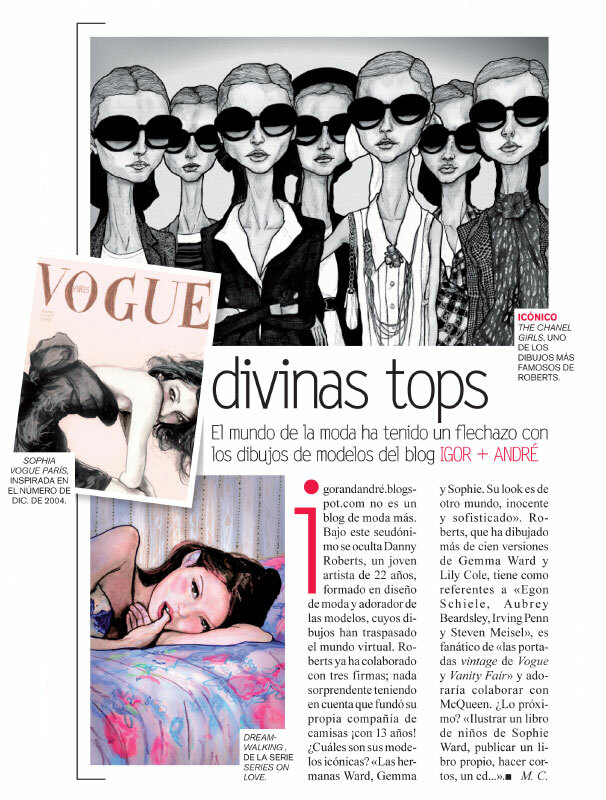 : ) Thank you so much to Vogue Girl for including me! I’m Featured on Italian Vogue! So I woke this morning to amazing news that i was featured on Vogue.it ! Italian Vogue is one of my all time favorite publications. I’ve been reading Italian Vogue since i was in high school. I even made those fake covers way back in the day, you remember this post? So needless to say, it is really a huge honor for them to say all those nice words about my art. 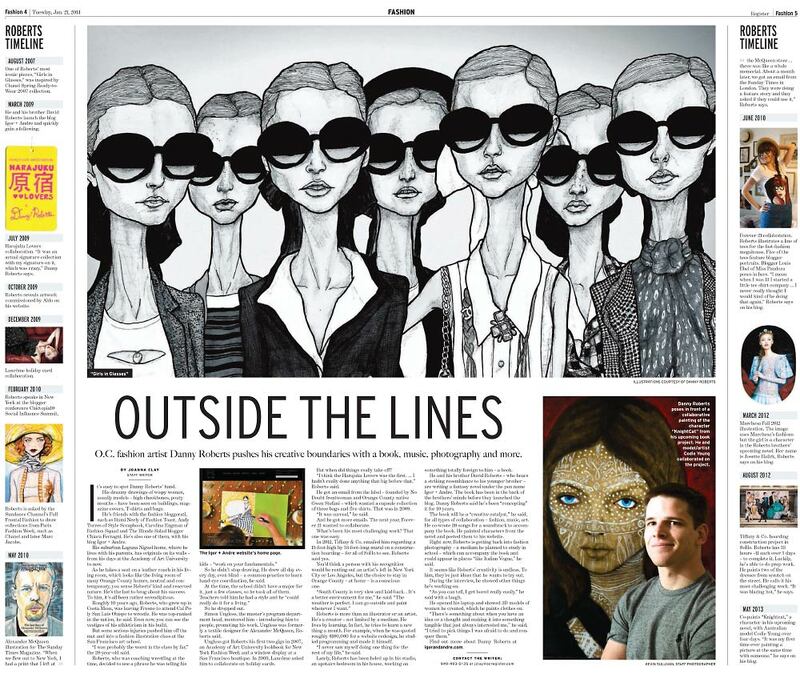 Please check out the article if you want to, it’s right here. So i’m trying to start this new year off right which means i’ve been cleaning & getting organized like there is no tomorrow! 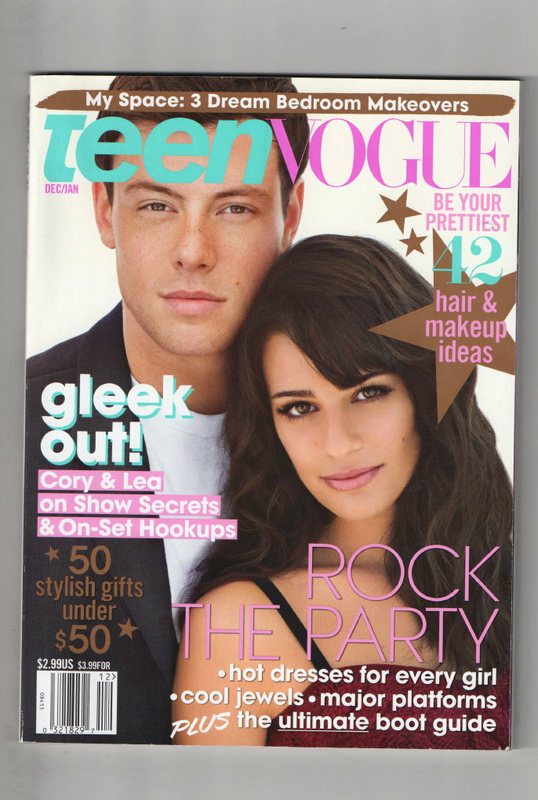 As i was cleaning, i stumbled on my issue of TeenVogue, and realized i never Posted it! Seriously been so disorganized lately! But here it is! 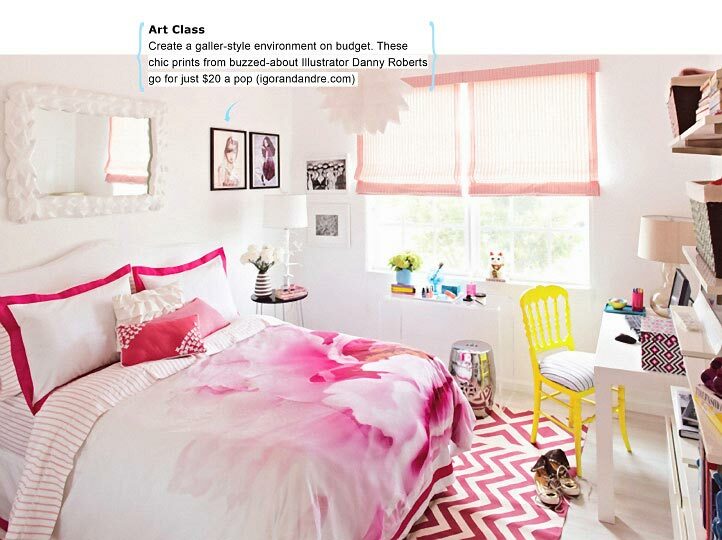 i had the honor of contributing some prints for TeenVogue’s Room Make Over. 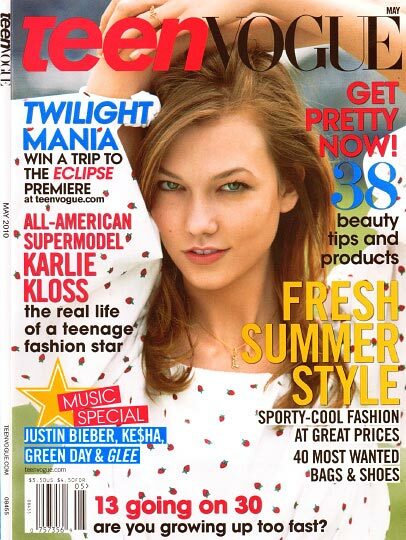 I Love TeenVogue! Seriously everyone over there is the nicest people i have ever met. And i love the concept of room make overs. I’m so happy Paola Henriquez, one of the winners, got my prints. They fit perfectly in her room. 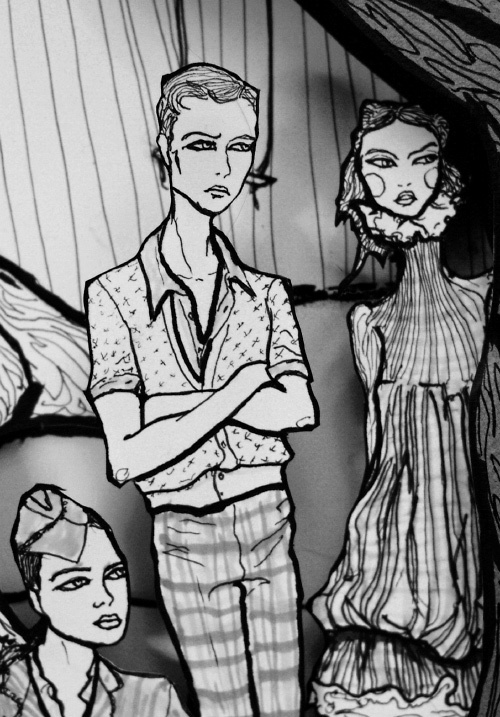 Artist Danny Roberts is the creative force behind fashion-orientated painting and illustration blog, Igor + André, a favourite on AnOther’s Reader. He has been involved in art and photography projects since the age of 13 and now at 24 he runs a blog that receives an average of 70,000 visitors per month. For two-and-a-half years, Igor + André has been a platform for Roberts’s beautifully whimsical paintings, and the historical and design points of reference that inspire him. Here, he talks us through his work and some of the major achievements that starting the blog has lead to. 1. Why is the blog called Igor + André? Actually, I haven't really said why it's called that yet. It's named after a project I've been planning for a few years, but it's not ready yet. Sorry about that. I can’t wait to share it with everyone though. 2. How would you describe your blog and its purpose? My blog for the most part is just an art diary. I post paintings, sketches, videos, or songs that I've written and try to explain them. 3. Why do you think it became so popular? I’m not really sure, it came out of nowhere. I mean, my brother talked me into starting a blog – I didn’t even know what one was, let alone that anyone would ever read it. But, little by little, I started receiving emails from people and getting featured in magazines. It’s been so humbling and trippy. 4. How would you describe your illustration style? I would describe it as my handwriting. Just like everyone’s handwriting is different, my drawing style is just me trying to draw accurately and it comes out looking like my style. 5. 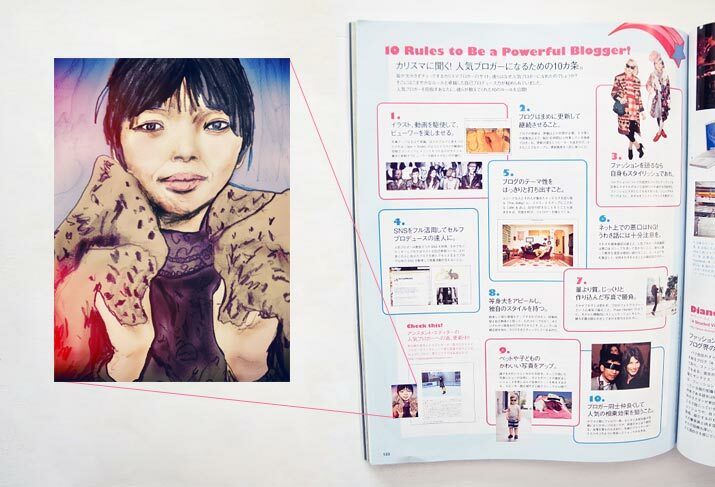 The illustrations, and the points of reference you mention, are incredibly feminine. Why do you find this niche of art and illustration so compelling? Well, for the most part I paint things that I am interested in, and women are one of my biggest inspirations. I think that fashion is perfect, because it celebrates women and beauty. I would say that Woman Sitting with Left Leg Drawn Up by Egon Schiele is one of my favorite paintings of a woman. Also La Belle Dame Sans Merci by John William Waterhouse. As for why I paint women, it is simply because they are beautiful. 6. Is there are particular designer or style you prefer to draw? Yes, definitely. I usually like to paint things that remind me of dreams. Alexander McQueen was my favorite designer to paint because all of his collections seemed like they were from another world. I am drawn to anything that looks like it is out of a storybook. 7. How has having the blog lead to other interesting work? Hey Friends! Got some great news! I’m in Vogue Nippon! I’m so excited! I’ve been a big big big Fan of Vogue Nippon for awhile! 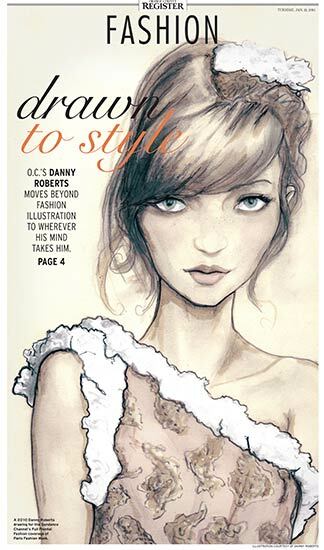 Actually, one of the first Vogue covers i ever drew was a Vogue Nippon cover of Heather Marks. Ok Yea, so the magazine arrived today, and it was amazing thumbing through the issue and seeing so many of my web friends in there. Early in the issue, i stumbled on the lovely and wonderful Miss Pandora, Louise Ebel. 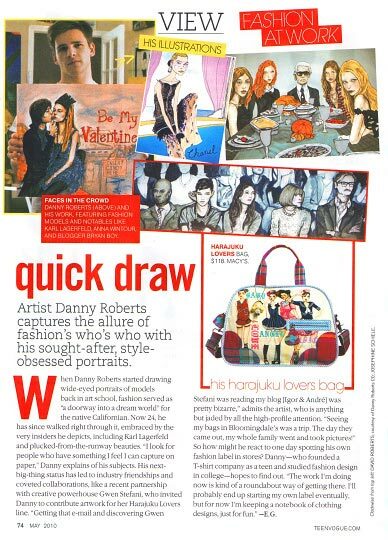 Then in the Social Media Sections, it was great seeing Jane Aldridge (seaofshoes) & Judy Aldridge (Atlantis Home), Tavi Gevinson (The Style Rookie), Bryan Yambao of Bryanboy, Susie Lau (style bubble), and Julia Frakes (Bunny BISOUS)! 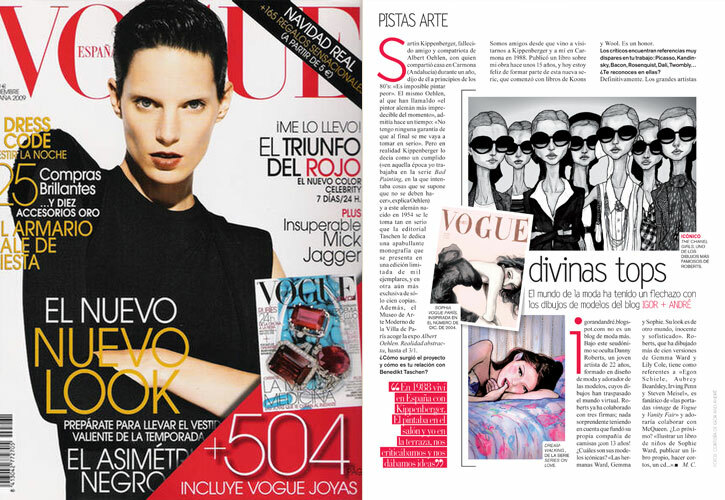 I have to say it was so trippy having my picture next to Carine Roitfeld (French Vogue)! 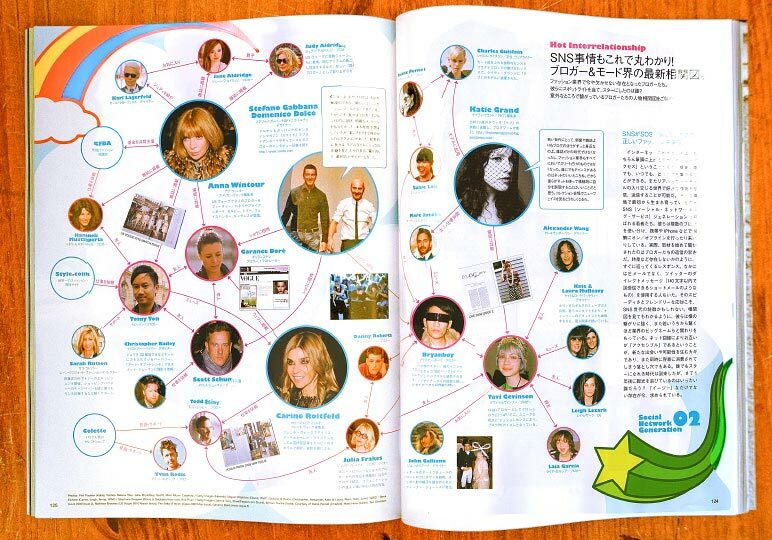 hahaha i wish i could read Japanese cause the issue looked amazing! Guess what, my Friends?! I’m in Elle Magazine!! Believe it or not, this is my first major feature in my own country! haha I’ve had press all over the world, but not really that much in the US. So i just wanted to say, thank you all so much your reading, reposting of my work, your tweeting, and all your support. I feel like this couldn’t have happened without you all! And thank you, Elle, for your kind words! You’re amazing!